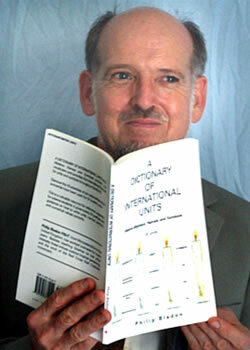 This activity, which can also be extended to cover other subjects, for example languages, is based on a section in A Dictionary Of International Units, by Philip Bladon. Students should tabulate the information in a similar way as shown in the book. Students should add an extra column as shown in the example below. Teachers might prefer to prepare a worksheet for this. One line of this is shown below ; ‘hertz’ is used as an example. Which Scientists(s) lived the longest? Which American Scientist was born in the 18th Century? Students prepare a scale with linear divisions. Graph paper (Landscape format) can be used. Alternatively, a one or two metre long piece of paper could be used. This is ideal for a display on a classroom wall. Different coloured lines could be used for the different nationalities. Students may have difficulties like trying to present all the 19 scientists neatly on a small piece of paper. Name the Scientist(s) who were alive in ……… ? There may be too much to do in one lesson, this activity could be part of a school’s work for a National Science Week. Not just a unit used in Physics! “One over henry”, “henry under one”. Used by some people to describe an individual who does not want to adopt the SI / Metric System of Units.